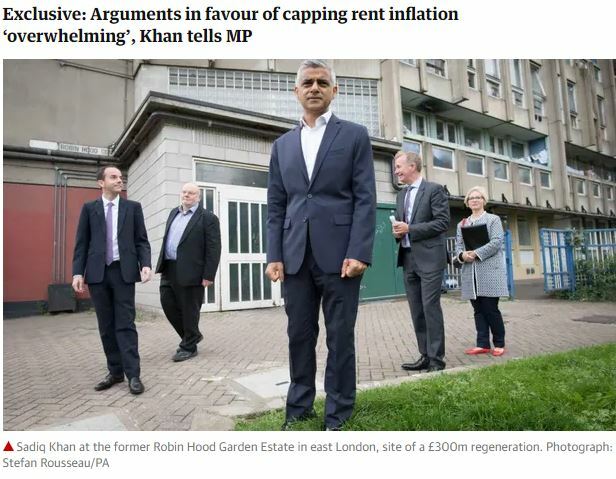 The mayor of London has hinted that he is considering introducing rent controls across the capital in a radical overhaul of private rental laws. The proposed changes include ending section 21 “no fault” evictions, which the housing campaign group Generation Rent said have been the leading cause of statutory homelessness since 2012. “This law allows evictions with no reason needed, and this is one more reason why we should scrap it,” the group said. Further measures to reverse this trend will be laid out in Khan’s “London Model”, which is slated to be published in spring 2019.